Zambia offers an array of safari activities, from bungee jumping and white water rafting at Victoria Falls, to tracking animals on foot in the remote South Luangwa on a walking safari, to Tiger fishing and canoeing in the Lower Zambezi. Zambia boasts some of Africa`s finest parks. 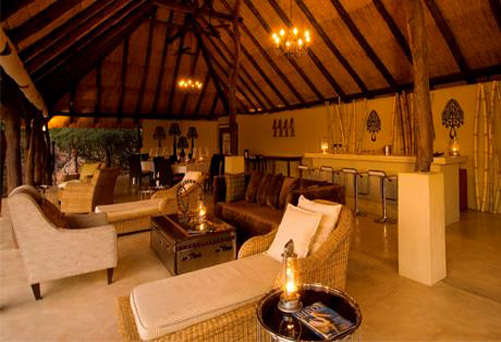 On arrival at Livingstone Airport a Sanctuary Sussi & Chuma representative will meet and transfer you to the lodge. The transfer time is approximately 20 minutes. 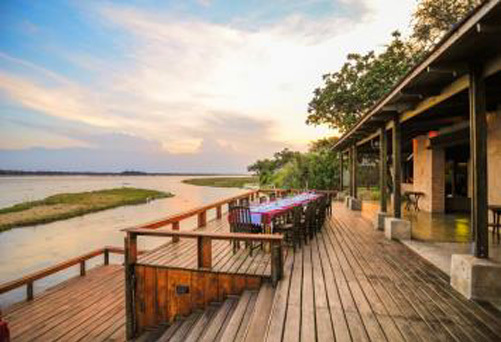 Sussi & Chuma is named after David Livingstone’s faithful companions and consist of an intimate lodge and two exclusive houses, both of which are situated to make the most of the amazing views that the sweeping Zambezi River provides. Activities offered at the lodge include, game drives in the Mosi-oa-Tunya National Park, where guests can see a variety of game, including white rhino, elephant, buffalo and giraffe. A tour of the incredible Victoria Falls – a World Heritage Site – a local cultural village tour, sundowner cruises, walking safaris and canoeing. The afternoon is at leisure to enjoy the activities on offer. The day is at leisure to enjoy the activities on offer. Just a short drive away from the world famous Victoria Falls, the lodge offers guests a walking tour of The Falls. First described to Europe by explorer David Livingstone and known locally as the Mosi-oa-Tunya, or “the Smoke that Thunders”, the falls make a constant roar and are accompanied by a cloud of brilliant spray where the mile wide Upper Zambezi falls 300 feet into the Lower Zambezi. Rainbows constantly form and collapse in the tropical sunlight over the waterfall. The river is bordered by ebony groves and mopane forest. Well-known for its bird life, with many fish eating raptors attracted to the rich pickings in the river. 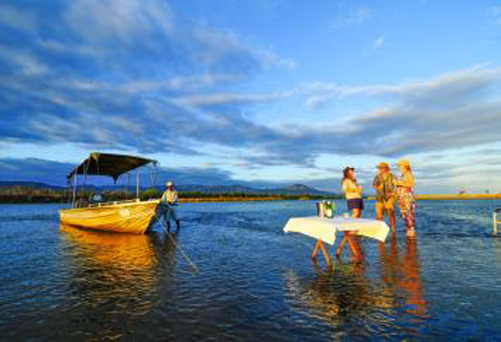 In the afternoon maybe enjoy a sundowner cruise on the Mighty Zambezi River and watch an African sunset. After breakfast you will be transferred to Livingstone Airport for your Proflight scheduled light aircraft charter flight to Mfuwe via Lusaka Airport. The flying time is approximately 1 hour to Lusaka, get off the plane and re-check in for onward flight to Mfuwe. Lusaka to Mfuwe is another 1 hour flight. On arrival at the airport a Puku Ridge Camp representative will transfer you to the camp. The transfer time is approximately 1 hour and 30 minutes, mostly through the National Park. Puku Ridge Camp is situated in a remote wildlife rich area in the South Luangwa National Park and is named after the Puku antelope that inhabits the floodplain in front of the camp. This small and intimate bush camp is built on a hillside, combining an authentic safari experience with 5-star facilities. The afternoon is at leisure to enjoy the game viewing activity on offer which include morning and evening game drives and walking safaris. The days are at leisure to enjoy the game viewing activities on offer. Walking is the best way to see the bush around Sanctuary Puku Ridge Camp. Sanctuary’s experienced guides love showing guests the indicators of the wild, ‘rewinding’ the action of the last few hours from just a few small give away signs. See where an elephant stopped to browse, where a leopard scratched a tree or a pangolin rolled into a ball. Accompanied by an armed game scout and taking careful note of the wind to mask any scent. There’s nothing like seeing lion tracks or the giant footprint of an elephant to make guests relish the comforts of camp. The area is home to 60 mammals and over 400 bird species, making it one of the top birding destinations in the world. The afternoon might be spent on a game drive that lasts well into the night. The day is at leisure to enjoy the activities on offer. 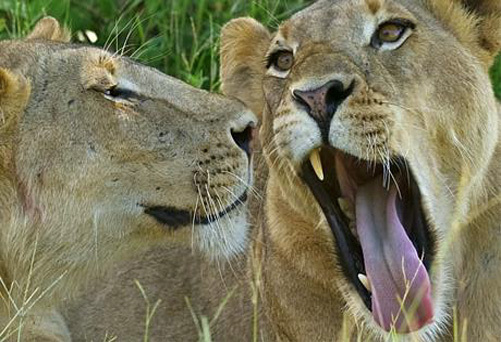 Lions and leopards are often seen in the area around the camp, as are buffalo and elephant. For big game like this, guests really need a vehicle to get up close and here in the South Luangwa, travellers have the privilege of going on game drives at night. Guests are always amazed how much can be seen when they go down to the river for sundowner cocktails before leisurely driving back to camp. Bush babies in the trees stand out with their enormous eyes, puku and impala scarcely notice as vehicles pass by. Guests often see hyena and leopard in the early evenings and are able to get very close in Sanctuary Retreats’ specially designed 4 x 4 vehicles. On the open plains below the camp there are always grazing herds of antelope and of course they attract the predators that every guest wants to see. After breakfast a camp representative will transfer you to the Mfuwe airport. The transfer time will be advised to you locally. Depart Mfuwe on Proflight shared light aircraft charter flight to the Lower Zambezi via Lusaka where a Royal Zambezi Lodge representative will meet and transfer you to the lodge. Kindly note, that all inter-camp flights are subject to multiple pick up and drop offs en-route to your destination which would affect the flying time. 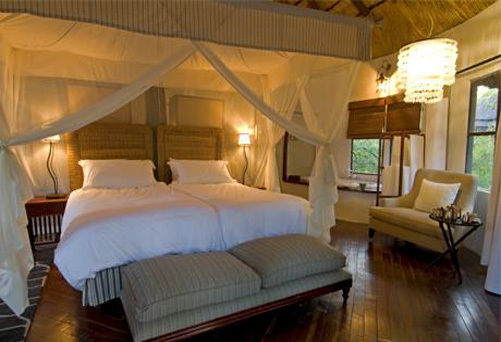 Royal Zambezi Lodge is an award-winning, family-owned luxury safari lodge overlooking the Zambezi River in Zambia. The lodge offers the ultimate in comfort & luxury, with unrivalled game viewing accompanied by professional guides, a luxury spa and world-class fishing, fly fishing and tiger fishing on the Zambezi. 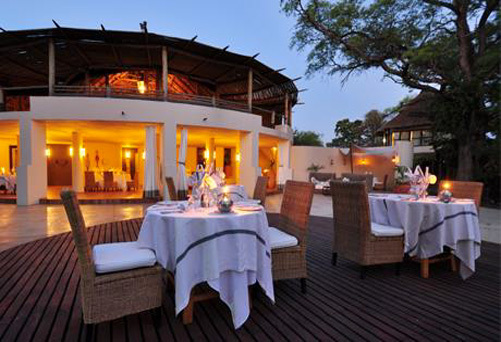 The lower Zambezi offers incredible game viewing and an array of activities. An exhilarating experience is canoeing on the Lower Zambezi River where experienced guides lead canoe safaris through the reed beds, byways and channels through the woodlands that line the river for intimate encounters with hippos and waterbuck. Canoeing provides the perfect way to experience the bush from a different perspective. If guests get tired of paddling, motorboats can always tow their canoe back to camp while they enjoy a cocktail on the deck. The day is at leisure to enjoy the activities on offer. The Lower Zambezi is home to the savage tigerfish, the most sought after game fish in the world and only when one has experienced the thrill and fight of catching a tiger fish first hand can one understand why. Expert anglers will need no convincing but if guests only go fishing once in their lifetime, this is the place to do it. Fishing trips for game fish such as catfish, bream or the renowned tigerfish is on a catch and release basis. 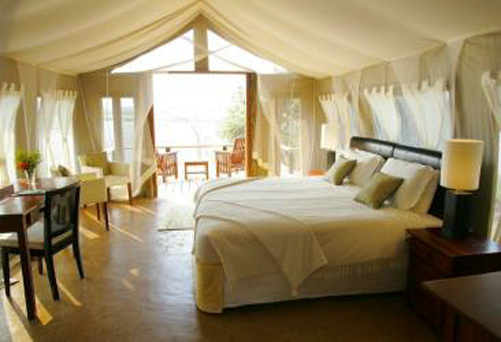 Time permitting the morning is at leisure to enjoy the game viewing activities on offer. After breakfast a camp representative will transfer you to the airstrip. The transfer time will be advised to you locally. Depart on a Proflight shared light aircraft charter flight to Lusaka Airport. The flying time is approximately 40 minutes. Kindly note, that all inter-camp flights are subject to multiple pick up and drop offs en-route to your destination which would affect the flying time. Depart Lusaka on a scheduled flight for onward journey.